Maintained the Morinaga line of Toyama-Ryu near Zushi City on the Miura Peninsula. Tokutomi Sensei's father started teaching him about the sword, starting at the age of thirteen. I was invited to one of the practices and introduced to Sensei when he was 76. By this time he was an old master with 63 years of experience. He was exactly the type of person I wanted to meet and practice with when I got the Navy to send me to Japan. During WWII, the manpower and materials of Japan were being decimated at a terrific rate and young Tasaburo became a pilot in the air force near the end of the war. At this time Japan was being bombed regularly and the factories were destroyed, so there were no planes left, so Tasaburo survived the war. Being an officer, he had been taught the officers' sword curriculum which was taught at the Rikugun Toyama Gakko (Toyama Army School). This base, now known as the Toyama Self Defense Force Recruit Training School, is very close to Tokutomi Sensei's dojo. The dojo is on the south side of the city of Zushi, in a section which is called Toyama. I participated in two demonstrations that we presented to the Japanese National Self Defensed Force Officer Candidate School. It took less than 10 minutes to get to the base from the Dojo. Iaido was developed during the middle to late 1500's as a way of quickly drawing in a manner to utilize the sword immediately from the draw. This was a way of keeping the samurai fit and retaining their ability to handle the sword efficiently. At the beginning of the twentieth century Japan fought a war against Russia. During this war and during subsequent army battlefield engagements in the first and second decade, the Japanese officers carried sabers of European style. Officers who used these sabers in battle found they were not effective for the Japanese style of fighting. During after action analysis, of Japan's pre-WWI and WWI conflicts, the thinking was that future conflicts would have a lot of close quarters fighting and maintaining swords in the uniform accoutrements fit with Japanese fighting philosophy. However, it was questioned why the Japanese sword, which was known to be of superior quality to the European saber, was not used. In the early 1920's a consensus was reached that a military Japanese sword should be manufactured and issued to officers and a system of techniques should be developed to facilitate use on the battlefield. Renowned Muso Shinden Ryu Iaido master Nakayama Hakudo (1869-1958) was a primary influence on the group of masters brought together to develop this battlefield curriculum. Hakudo Sensei was a contemporary of Morihei Ueshiba and there is film of them, through Aikido Journal, with both demonstrating their arts at the same demonstration. 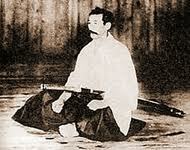 The curriculum was decided and named the Gunto Soho (military sword method) in 1925. This was taught to officers and non-commissioned officers at the Imperial Japanese Army military academy called the Rikugun Toyama Gakko (Toyama Army School). After WWII the Japanese Army was disbanded and martial arts training was forbidden by the occupation forces. By changing the suffix of many arts from "jutsu" which implied fighting to "do" which implies "the way" as a life long practice, many of the martial arts were revived. Three former Japanese officers revived the military sword system as Toyama-ryu Iaido. 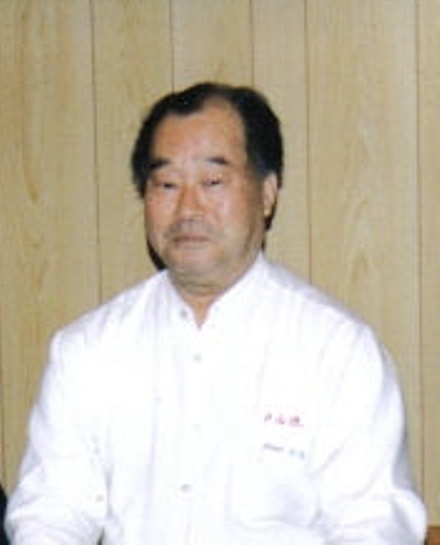 Yuuki Yamaguchi, in Hokkaido, established the Greater Japan Toyama Ryu Iaido Federation. Kiyoshi Morinaga established the Toyama Ryu Iaido Association in the Kyoto/Osaka region. Nakamura Taizaburo created the All Japan Toyama Ryu Iaido Federation in the Tokyo area. Each group maintains the Gunto Soho as they remember it, and have made changes over the years as their interpretations change. Kiyoshi Morinaga rose to the rank of colonel from what I have found. He was an instructor at the Toyama Military Academy for many years and rewrote the military sword manual in two forms. Tasaburo Tokutomi was one of his students and may have had the old manuals. Sensei said his father started teaching him when he was 13. I never asked about any military maters because I felt it might be a touchy subject which was better left alone. Therefore I don't know if Sensei's father had any ties to Colonel Morinaga. Tokutomi Sensei called what he was teaching Hon Iaido Battoh, which translates roughly to true sword drawing and cutting method. In 1996 Tokutomi Sensei made a video of what he was teaching. An American master in California who obviously spent a good amount of time in Japan, Guy Powers, wrote a review of the Tokutomi video and says this is the same as what was taught according to the sword manuals written by Morinaga Sensei. I consider myself extremely fortunate to have been introduced to and to have become a student of Tokutomi Sensei and to have practiced with his students. In June of 2011 I was finally able to go to a Toyama-ryu Taisai (combination seminar and cutting competition). I did not compete since I didn't own a cutting sword at the time and had not cut in a class since leaving Japan in February of 1997. I did participate with my Iaido Katana in multiple seminars. Practically everything they did was different than what I was taught. I did not see any cuts made directly from the draw. I kept asking people about this and the answer was that cutting on the draw is very rare. The kiriage draws have become like mainline Iaido draws which draw straight ahead and twist the saya and blade over near the end of the saya (scabbard). The reasoning for this is the same as the reasoning for the Eishinryu Iaido draw, to hide the intention of the direction of the cut. I think this would not set well with Tokutomi Sensei because it is unlikely you will ever get a straight, clean cut right out of the saya. In cutting, it was explained to me, and proved workable, that the tip has to get out past the target so the sword comes out straight for the cut. This required a large downward dip as the draw started so there would be time to get the tip past the target before the sword reached the target. If I drew too flat the sword would only scratch the target and not complete the cut. I keep in mind that this style was created for the battlefield. The goal on the battlefield is to kill or incapacitate the enemy. There is little thought of surprise once the forces are in sight of each other. It becomes more brute force to brute force. Therefore the draw must be on a cutting path. I believe the battlefield philosophy of the Toyama-ryu was to blow through the enemy in the first contact, meaning with the initial draw. So the draw is with strong fast force and what Tokutomi Sensei was teaching was proven rather than hypothesized. There were no demonstrations of cutting on the draw at the Taisai. All cuts were made after drawing and re-positioning even if the cut came very soon after the draw. This was not what Tokutomi Sensei was teaching unless it was in the post drawn first set of exercises. You may notice that I don't have multitudes of Japanese terminology throughout. In Japan, the terms were very seldom used, if ever. The classes I participated in were doing, not talking or theorizing on deep explanations. I equate this with the Marine Corps shooting program. The shooters on the Marine Corps team did not need to know what the weight or velocity of the bullet was or how many grains of powder or what kind of powder was used in the charge. The goal was get as many bullets as possible in the center of the bulls-eye. Anyone can memorize the type and weight of the bullet and the number of grains in the charge, but if you can't get the bullets in the black and keep them there, you won't be going to Quantico to get on the Marine Rifle Team. If you can't cut, who cares if you have the most marvelous sword ever made and know every minute part of it. I'm a do it first and memorize latter. All my life I've had to make do with the random run-of-the-mill old equipment first and prove exceptional with that first before getting the best equipment. This seems natural to me and no need to think otherwise.